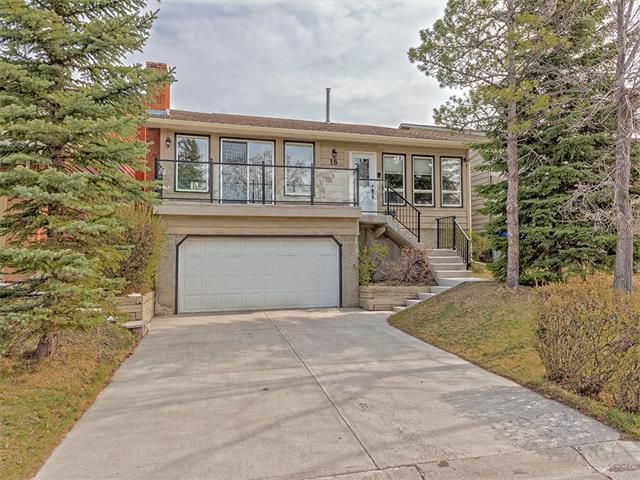 These statistics are generated based on the current listing's property type and located in Hawkwood. Average values are derived using median calculations. 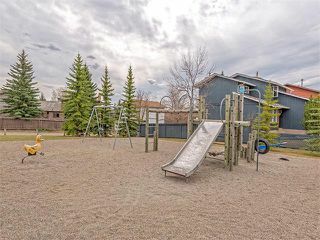 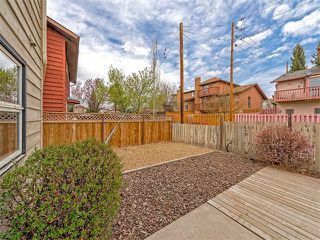 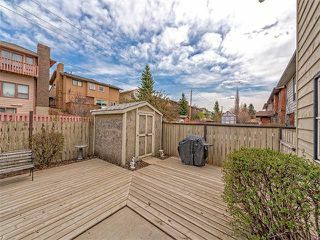 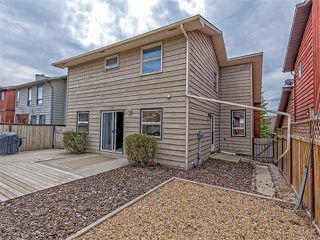 **NEW PRICE** Huge spotless two storey split in an ultra-convenient location steps from a playground, library, YMCA, schools, transit (Crowfoot LRT) and amenities (Crowfoot crossing). Main floor boasts a large front living room accented by dramatic vaulted ceiling, adjacent dining room features a wood burning with log lighter fireplace and sliding patio doors leading out onto the front deck. 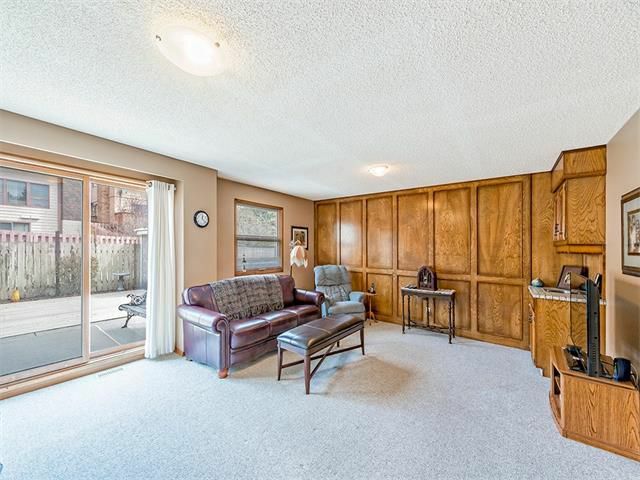 Large windows for tons of natural light. 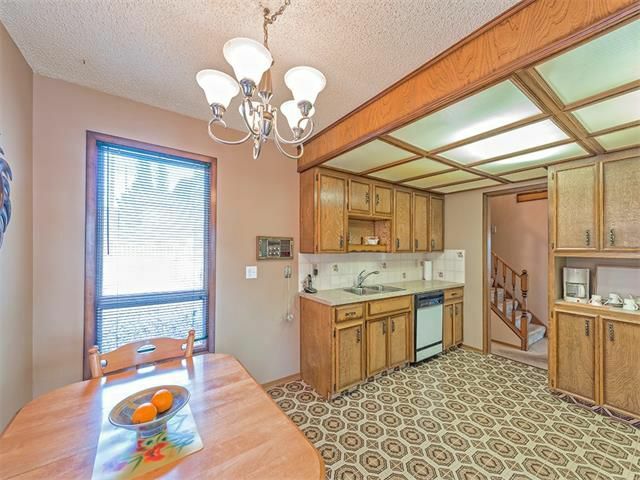 In addition to the kitchen the main floor showcases a family room with wet bar, den/bedroom, two piece bathroom and laundry room. 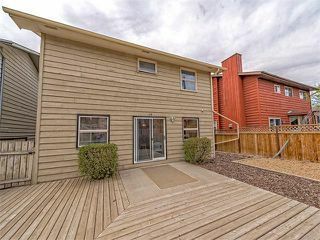 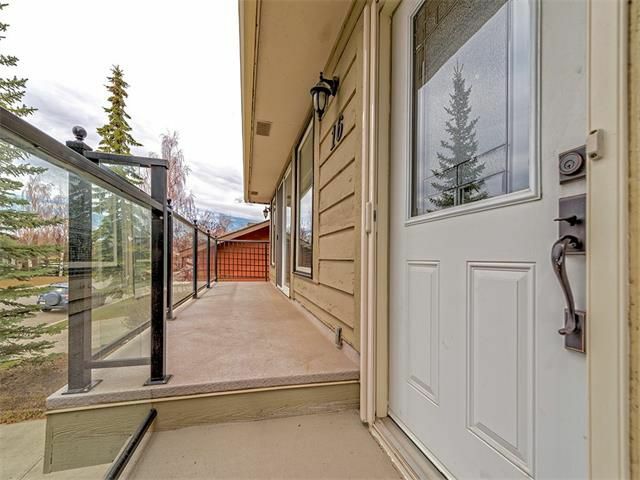 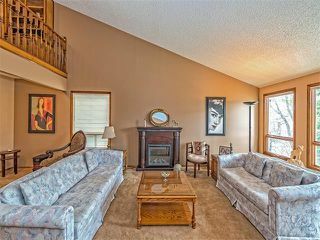 Upper level has four piece bathroom and three spacious bedrooms with master offering a loft overlooking the living room with three piece ensuite bathroom. 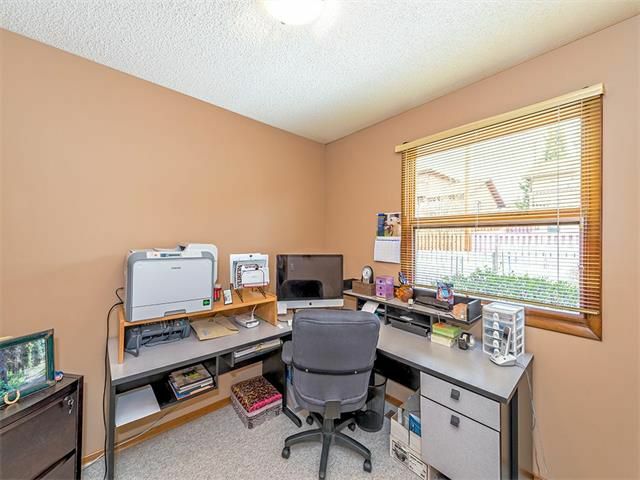 Partially developed basement offers a fourth bedroom, allows for future choice development and includes a work shop or storage room. 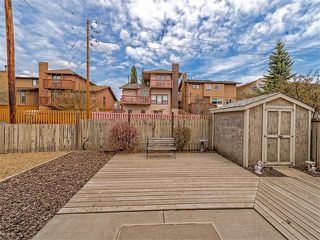 Sliding patio doors off the family room lead to the backyard yard which has an alley accessed parking pad. 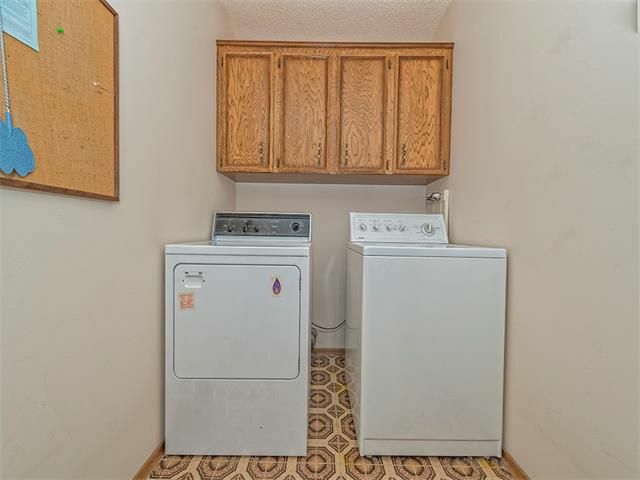 Newer shingles, furnace and hot water tank. Exterior front with double attached garage and south facing deck. 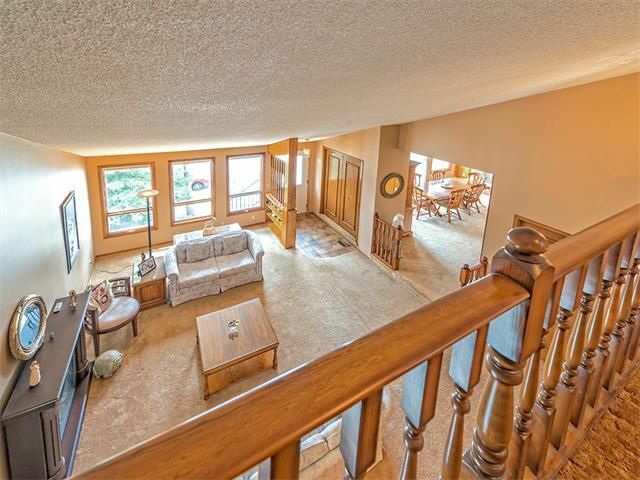 Living room with large windows allowing for tons of natural light. 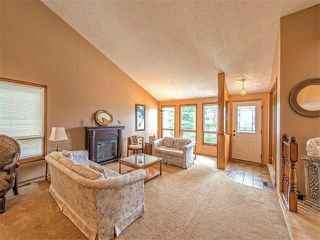 Living room accented by dramatic vaulted ceiling. Bright dining room with log lighter wood burning fireplace. 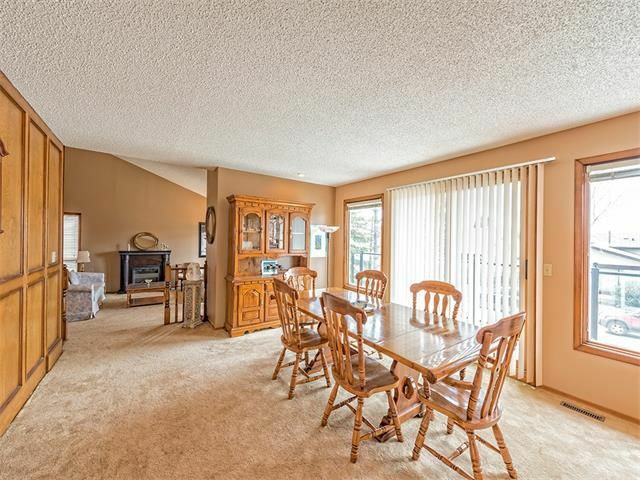 Huge windows and patio doors allow loads of natural light. 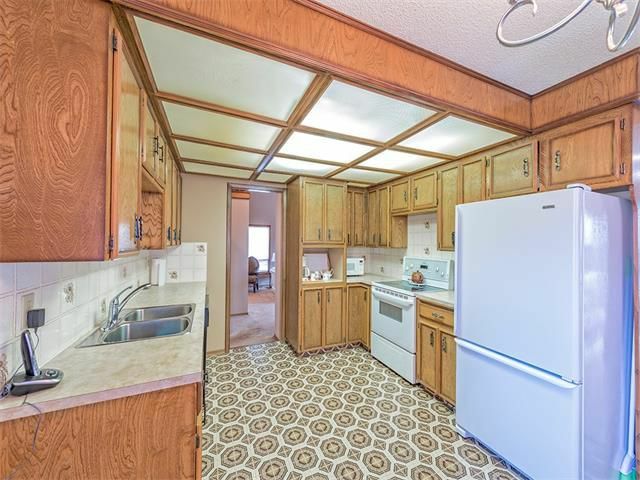 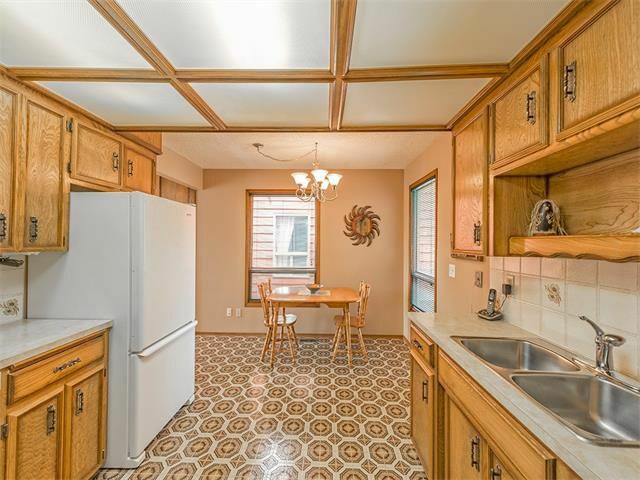 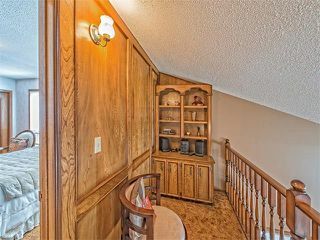 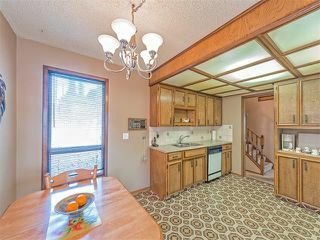 Kitchen also offers eating nook. 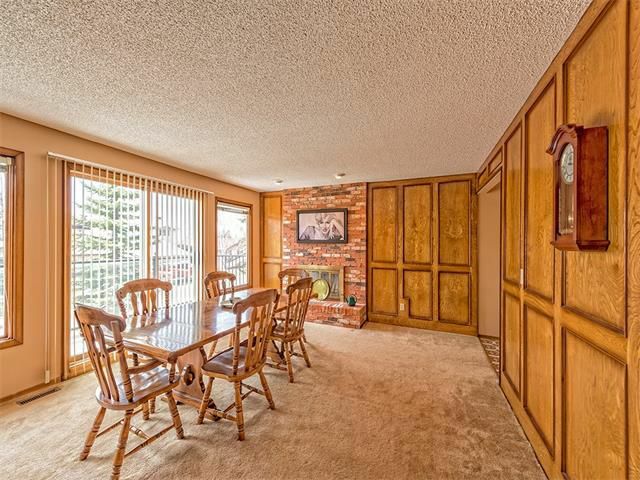 Family room with patio doors leading to the patio and rear yard. 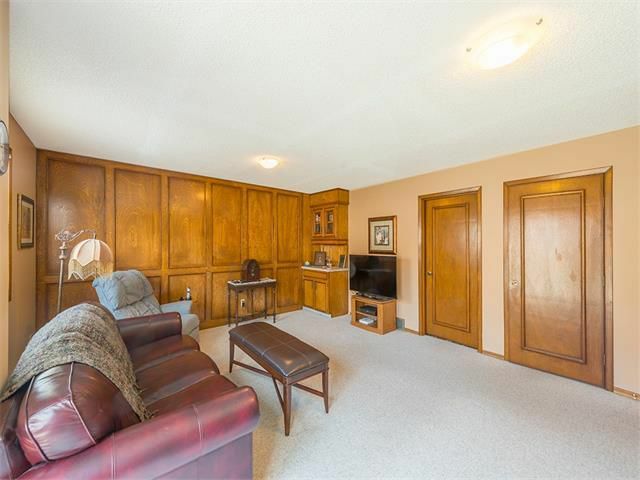 Family room with corner wet bar. 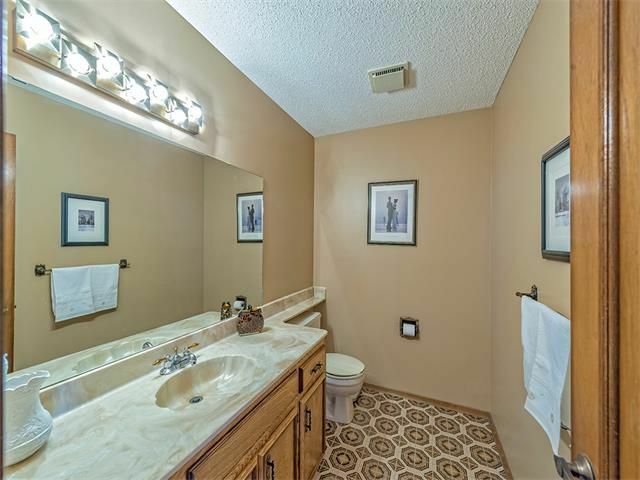 Two piece main floor bathroom. 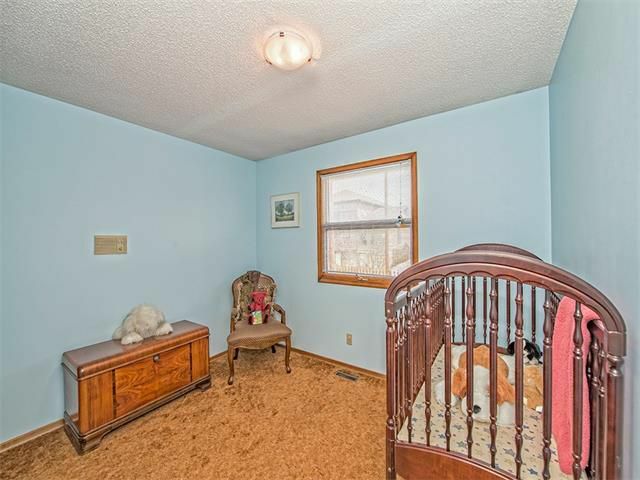 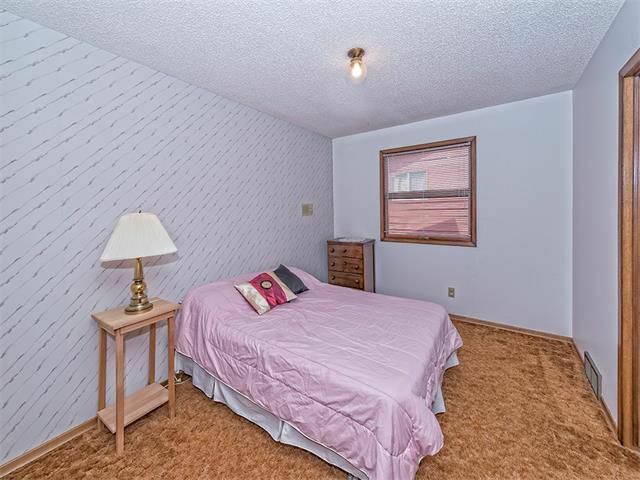 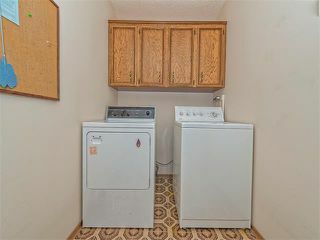 Spacious convenient main floor laundry room. 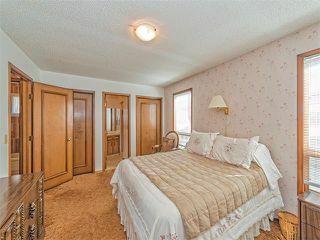 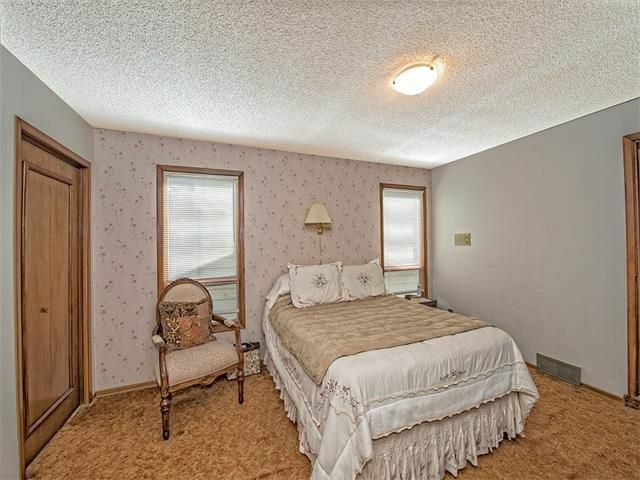 Master bedroom with two closets and ensuite bathroom. Loft off master bedroom overlooking the living room below. 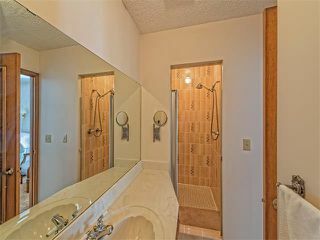 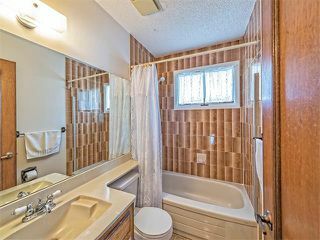 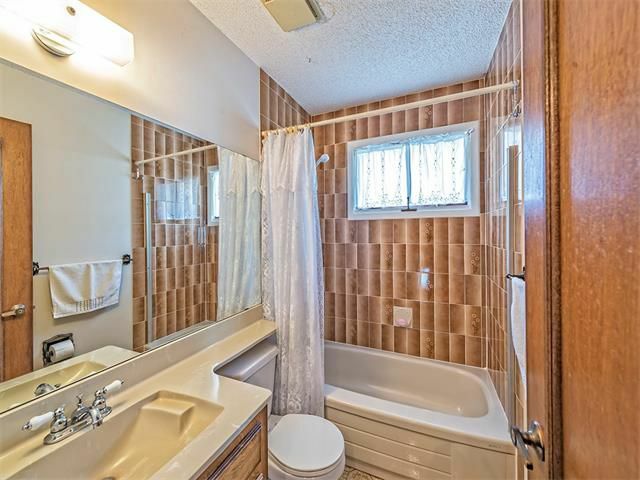 Ensuite bathroom with walk-in shower. Exterior rear with large patio. 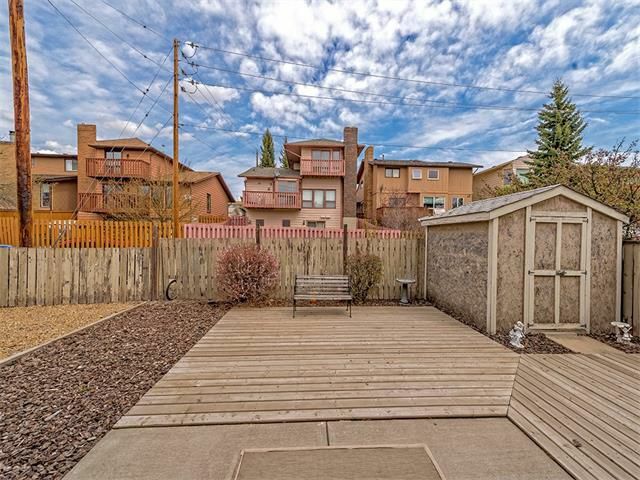 Backyard with Rear access parking pad.